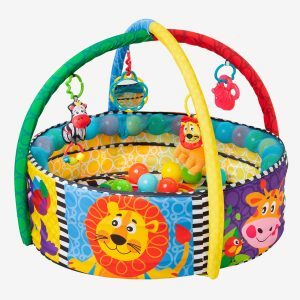 It’s a symphonic safari! 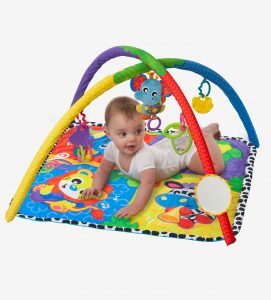 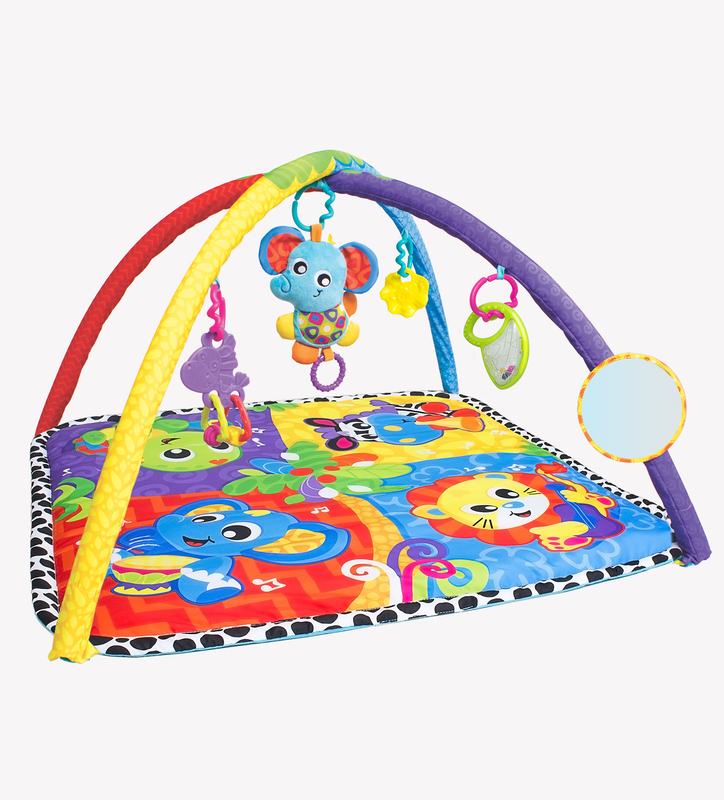 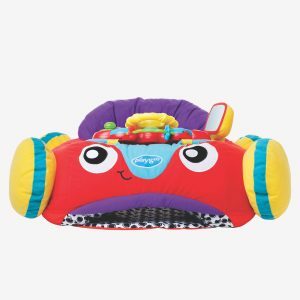 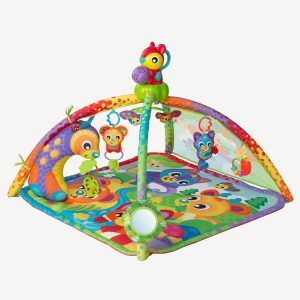 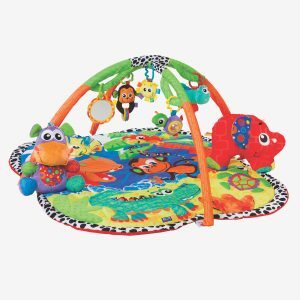 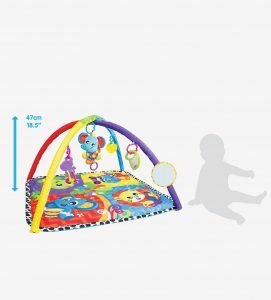 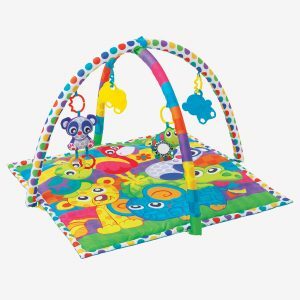 Great for encouraging tummy time, sitting play or lay and play, this versatile playgym grows with your baby. 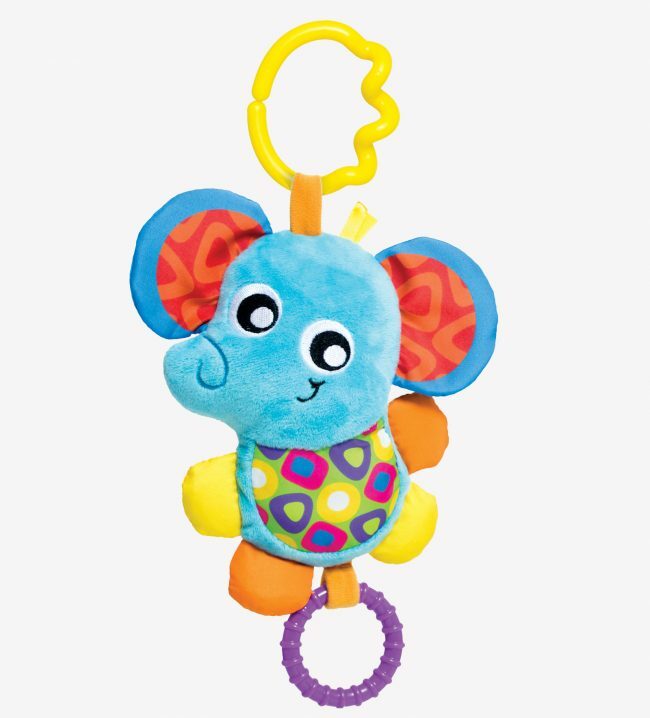 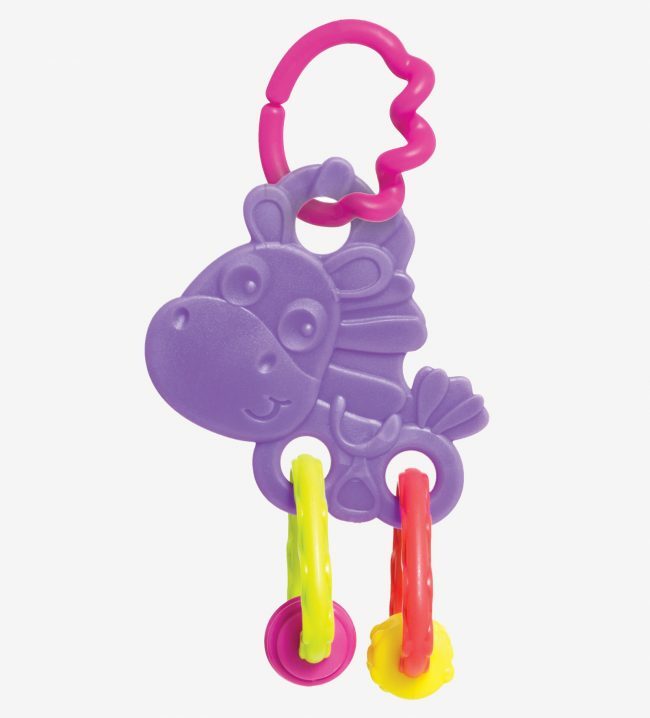 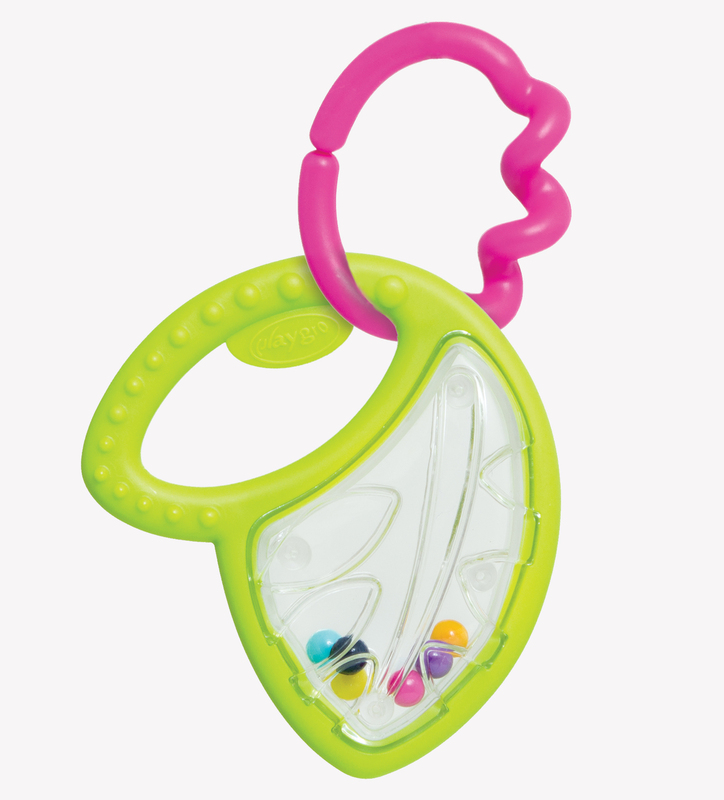 The 5 detachable hanging friends will click, reflect and rattle with baby on their journey through the jungle. 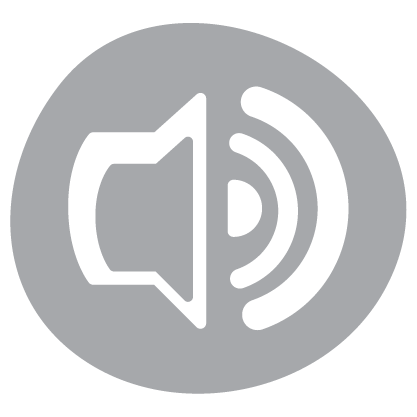 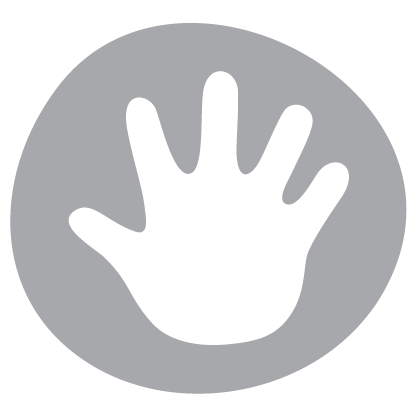 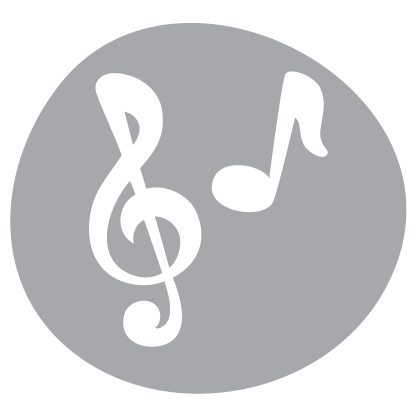 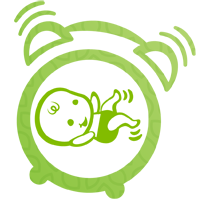 The 4 different melodies, privately composed for Playgro, will have your baby grooving whilst stimulating their auditory senses. 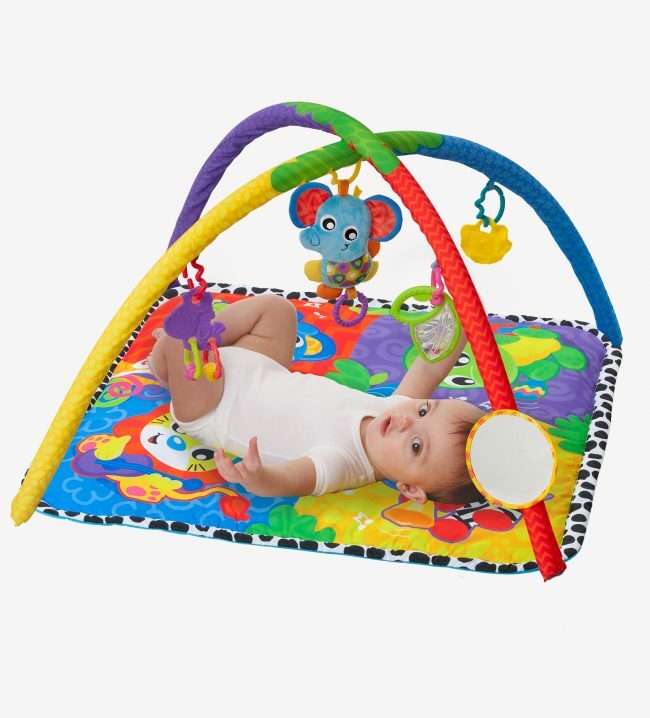 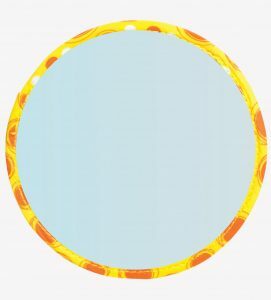 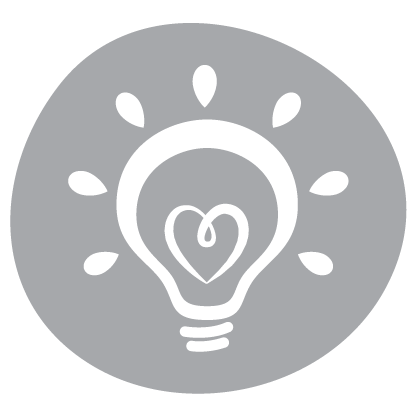 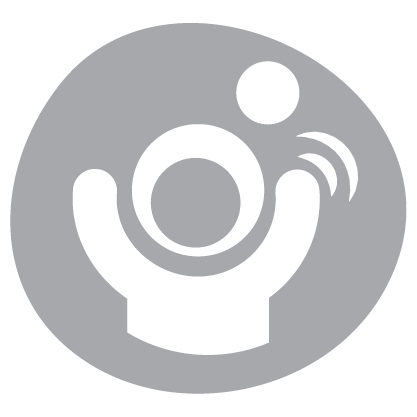 Simply detach the gym arms to create a soft, safe place for older babies to sit and play, or keep the playgym arms on for baby to practice reaching and grabbing for the hanging toys. 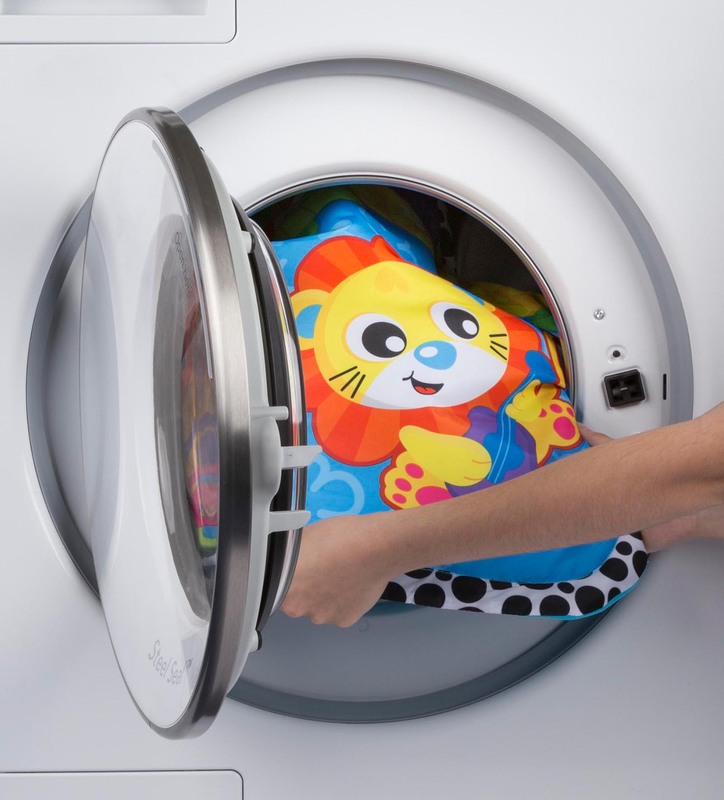 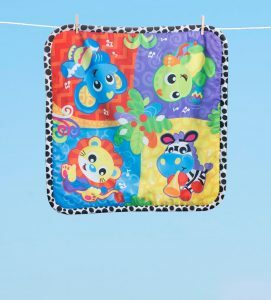 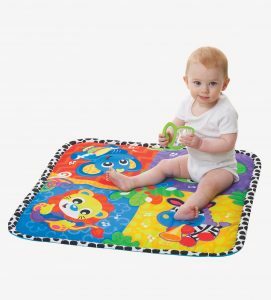 Play mat is machine washable. 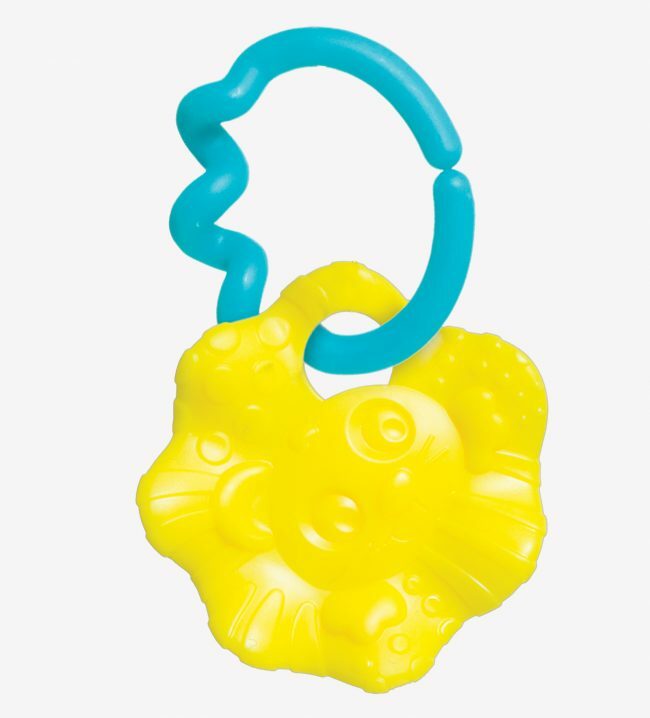 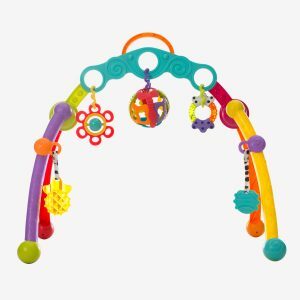 – Textured teething toys and rattles attach to pram, car seat and strollers for fun on the go!